The Adventures of Galgameth A Medieval Family Movie. A Young Prince, A Heroic Creature, A Magical Adventure. The Adventures of Galgameth is a coming of age movie about a friendship between a boy and a dragon. Starring Devin Neil Oatway, Johna Stewart and Stephen Macht, it was the first movie directed by Sean McNamara who went on to become a successful producer of both movies and television shows. The Adventures of Galgameth tells the story of a teenage prince who attempts to free his land from an evil knight who has taken over the kingdom. The knight is a bad ruler and the people live a poor life, which the knight claims is the wish of the prince. The Adventures of Galgameth is a family-friendly movie that appeals to children because of the medieval setting and because of the dragon. It was filmed in Romania. Blogger Dizzy Izzy says, "The movie goes by quickly. It’s very cliché and predictable but for a child who hasn’t seen as many movies as I have, they would probably still enjoy it. The movie did a good job of not insulting the intelligence of the audience or talking down to the children." Another viewer said, "This is a great movie for the whole family. I was hooked with in 5 minutes of watching it. I can watch it over and over again and so do my kids. This is a classic, a must buy, a great movie." 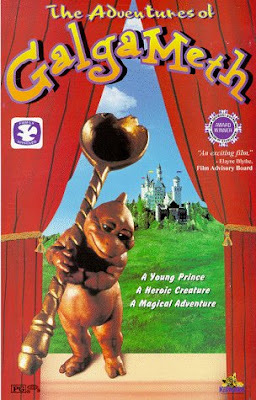 A seemingly low budget film, The Adventures of Galgameth never aired in movie theatres in North America but played on the Disney Channel. It is an entertaining movie for family viewing and, despite the fact that it was a low budget film, I found myself rooting for Galgameth and the prince. I know that my boys would have enjoyed it when they were young because of the medieval setting and, of course, because of the dragon. Unfortunately, The Adventures of Galgameth has not been released in North America on DVD. 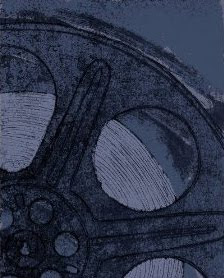 If you have a region-free player, you will be able to purchase a DVD copy but, if you do not and you want to watch this movie, you will have to purchase a VHS videotape. You can check for The Adventures of Galgameth on Amazon by clicking here. A Collector's Guide to Videotapes. Please note this page was originally written and published in 2010 on another website.